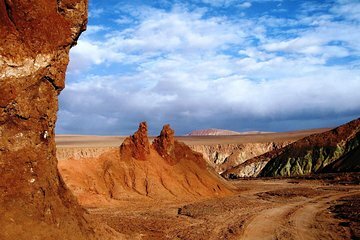 San Pedro de Atacama serves as the gateway to the southern Atacam Desert with its mineral-rich hills and ancient petroglyphs. With this tour, skip the hassle of a rental car while saving money on shared transportation to this visually stunning area of Chile. With insights from your guide, visit one the country’s most important collections of prehistoric rock art and walk through the Rainbow Valley named for the numerous colors created by clays, minerals, and salts.